Optomec – a leading global supplier of production-grade additive manufacturing systems for 3D printed metals, today announced the LENS 860 Hybrid Controlled Atmosphere (CA) System. 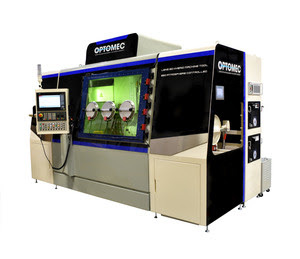 The new addition to the Optomec LENS Machine Tool Series has a larger build volume and supports higher laser power, providing more capabilities for affordable, high-quality metal hybrid manufacturing. The system will be on display at IMTS (Chicago, McCormick Place, Sept 10-15, 2018 in the West Building, Booth # 432204). For more information about Optomec, visit http://optomec.com.